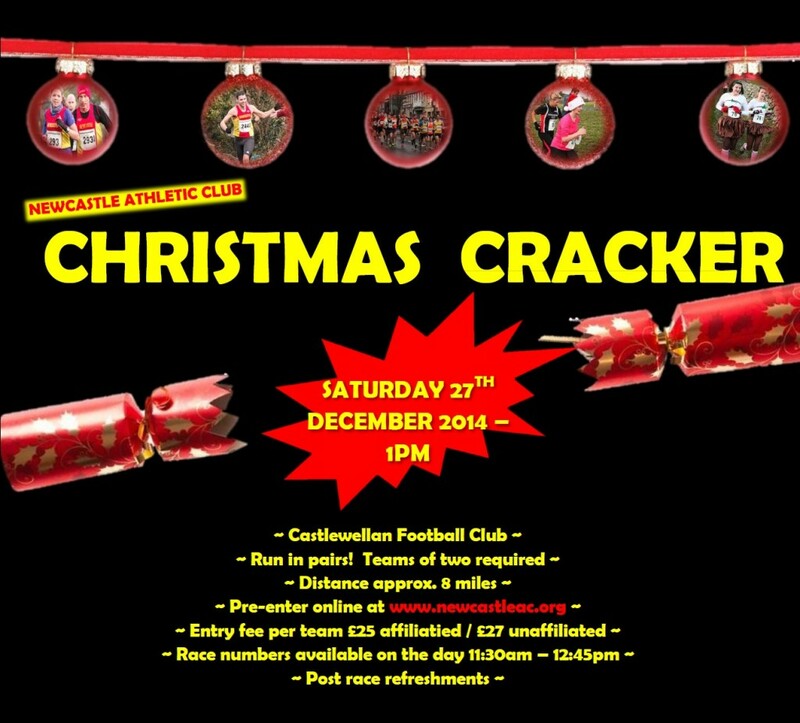 The Annual Castlewellan Christmas Cracker Pairs Race will take place on Saturday 27th December 2014 at 1:00 PM. All teams must pre enter using the online registration system. Entry fee of £25 / team is payable on race day. £2 extra for unattached/unaffiliated runners. All pre entered teams will receive a commemorative gift. A team of two is required and both must cross the finish line together. Categories are Male, Female and Mixed. Must be over 16. Start of race is in Castlewellan. Details will be published soon. Distance : Approx 8 miles. Course : road and forest tracks in and around Castlewellan suitable for all hill, cross country and road runners. Prizes for all main categories and for best fancy dress outfit.